Currently Stuffing My Face With // This Toffee Crunch chocolate, bought at Aldi - it is perfection. 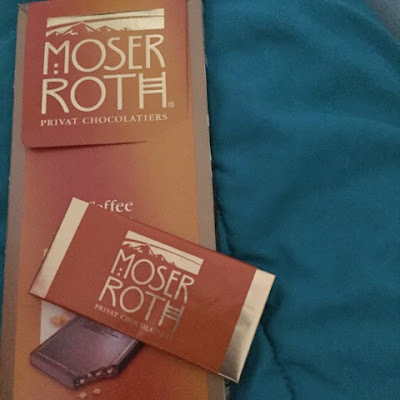 I always tend towards fair trade really dark chocolate but this chocolate bar is crunchy, sweet and different than anything I have had in a while. It also comes in these cute little bars which helps with portion control. Happiest Purchase of the Week // My J. Crew x Nike Sneakers finally came! I love love love them. I am not a high top sneaker person but something about these makes me feel like a badass hiphop dancer at a prep school. Reading for this week // Thought Catalog reminds me of the woman I want to be in life. I really believe in the power of being a strong but kind woman, especially being in engineering, where there are a lot of males - some of them super alpha males in nature. Obsessed with // My new Fitbit Flex Bands (Classic Pack) (totally have to write a post about that soon!) I really like being able to switch up my bands and see the lights turn "different" colors with each band. On the red band, the lights look pink!